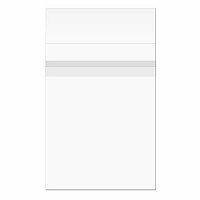 Super clear resealable bags for prints and proofs. Use these super clear resealable photo bags with Wildcat's photo boxes for safe, archival storage of your prints. They have an adhesive strip on the bag instead of the flap, so your photo cannot come in contact with the adhesive. 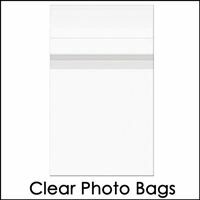 These clear photo bags are durable and designed to limit ripping, tearing, wrinkling, or fogging. Close and re-close these bags over and over.